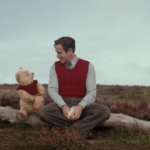 Disney’s Christopher Robin invites families back to the Hundred Acre Wood for a new kind of adventure with adult Christoper Robin and his childhood pals. A Boy, A Bear, A Balloon by Brittany Rubiano and Mike Wall recreates an important scene from the film as a children’s picture book in which adult Christopher Robin reunites with all of his friends. However, a more fitting title might as well be “A Man and Stuffed Animals” as the boy is full grow, the bear is barely there, and the balloon is inconsequential in these pages. The story starts with Pooh and Christopher Robin arriving back in the Hundred Acre Wood during a particularly blustery day. Frustrated with Pooh, Christopher Robin yells at the bear and gets separated from him. As the storm calms down, he rediscovers Eeyore, Piglet, Tigger, and the rest of the gang. But in order to find Pooh Bear, Christopher Robin will have to think like a bear of little brain and big heart. 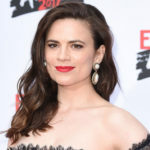 The story is sweet and wrapped up in sentiment, although the lack of Pooh throughout most of the story causes it to lose some of its potential charm. 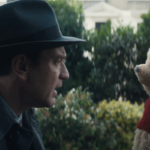 In hindsight, a more original story inspired by the film would have made for a better bedtime story than a retelling of one key scene that becomes a turning point for Christopher Robin’s character.. The illustrations by Mike Wall recreates Pooh and his friends as a cross between the Disney versions and the original E. H. Shepard style. 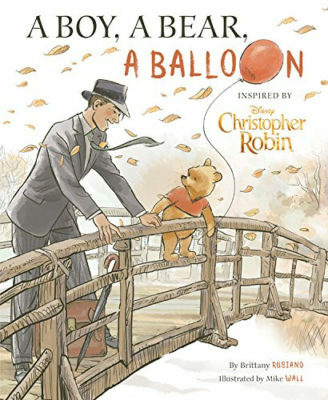 Christopher Robin looks enough like Ewan McGregor, but stylized in a way that he could also be the Disney animated character grown up in this book. The color scheme is earthy and muted, setting a naturalistic tone for this fantasy story. The trouble with A Boy, A Bear, A Balloon is that it exists amongst the many Winnie the Pooh books that came before it, including the original source material by A. A. Milne. 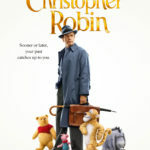 If you and your kids love Christopher Robin, then it’s a great addition to your child’s library. 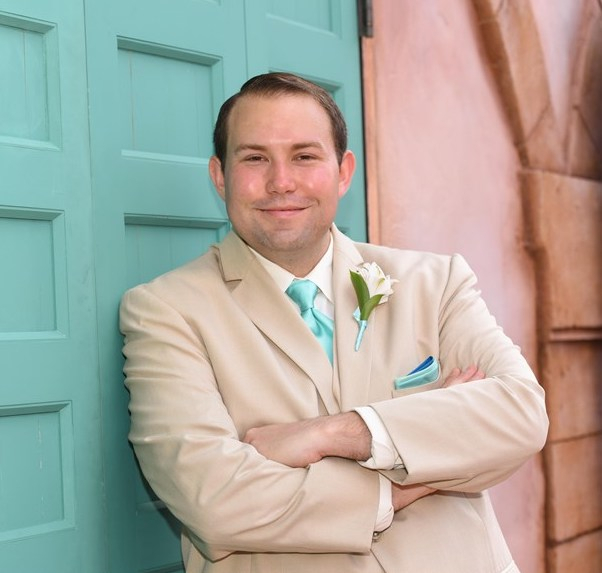 But the more casual Pooh fans are advised to seek out the many other adventures that the boy and the bear had in the Hundred Acre Woods.